Online stream anime episodes, Watch Naruto Shippuuden Episode 53-54 English Subbed online and free episodes. Anime Episode guide, Chapter Naruto Shippuuden Episode 53-54 English Subbed Title Orochimaru and Kabuto convince Sasuke to withdraw with them and they disappear, leaving a weeping Naruto, who confesses his failure to bring Sasuke back to Konoha, but Sakura reassures him, saying that they will soon bring Sasuke back together. 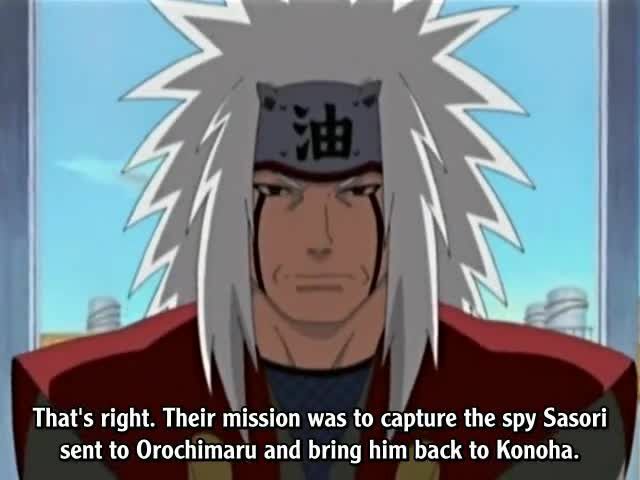 Back in Konoha, Yamato’s team reports to Tsunade about the results of the mission, and Tsunade is greatly angered over Danzo’s treachery of leaking classified information of Konoha ANBU to Orochimaru. In the ANBU Root base, Sai asks Danzo to allow him to remain longer with Team Kakashi, and Danzo reluctantly agrees. Later, Sai goes on a mission with his team, having come to see them as his friends.